Do you even know how to read a map? So there are a couple insignificant puppet states also red. Didn't show up clearly on my iPhone screen. 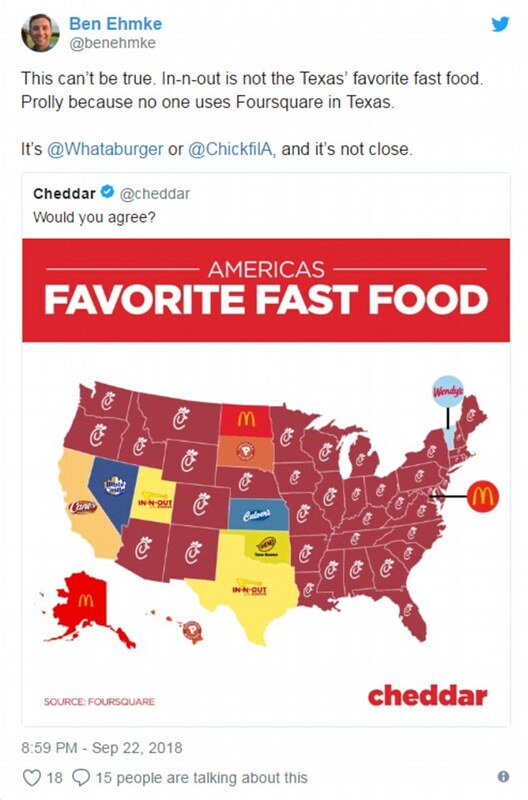 I think less of those states now. I think less of Canada now, if that's possible. This makes all Canadians so sad. 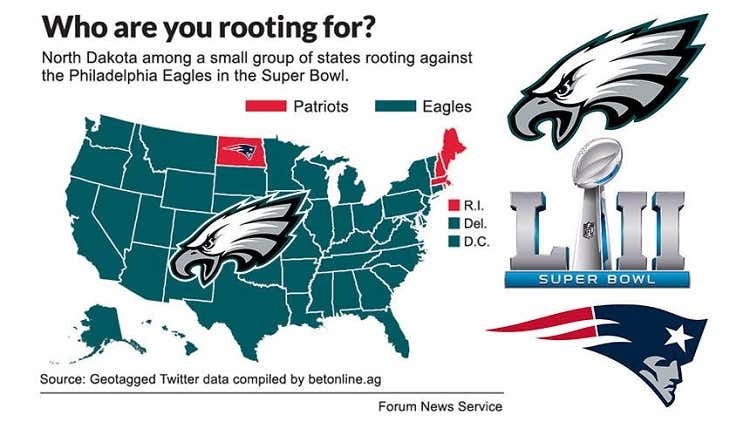 Even parts of New England are rooting for the Birds. And you know that anything you see on Twitter is 100% true, right? I think you're just being polite. 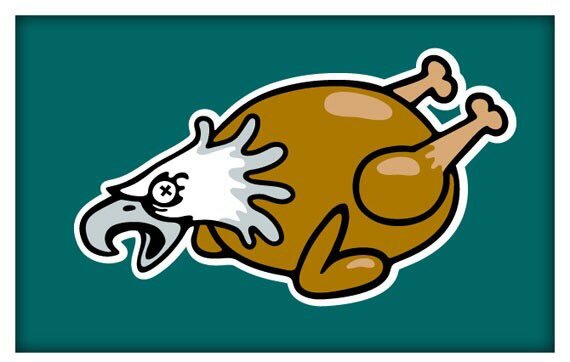 What’s sad is that Philadelphia uses the national bird as their mascot. Benjamin Franklin wanted the turkey as the national bird. I'm willing to bet money that suicide rates have spiked sharply since November 2016, especially among those who've had dinner with Obama. As for the map, it seems like many of the states with the lowest increase, have a growing retiree population. The point of the proposal was to turn a 100% electorally Democrat state into a majority Republican state. They were trying to gerrymander an entire state. Screw them. This is pretty good. But Essex for Connecticut? Lame. My favorite Massachusetts town is Athol. Way back when, the rock station WBCN had a morning show called The Big Mattress. They did a spoof about the actor Peter Falk (from Columbo) coming to Athol. It was called "Falk in Athol". Three Way, Arizona? sounds kinda lame. There a town called Cyclopic which almost looks like Cyclopia.